Probate is a court-supervised procedure that involves the appointment of an executor to collect and distribute property owned by the deceased. The process can be time consuming, and it may take several months for administrators to distribute the estate to all heirs. However, Arkansas offers a quicker substitute for probate in cases where the estate has only limited property. This is known as small-estate administration and, unlike neighboring Louisiana, there is no requirement that the deceased person died intestate or without a will. If a person dies in Arkansas with a valid will in place, the property passes to named beneficiaries after all debts and expenses have been paid. If a person dies without a will, the state's intestacy laws specify which heirs stand to inherit, based on their legal relationships to the deceased. Under intestacy laws, the state prioritizes as heirs surviving children, spouses, and then parents and siblings. However, regardless of whether a will is present, only those individuals that stand to inherit -- known as distributes -- may file for small-estate administration in Arkansas. In contrast to some states, including California, assets in a small estate can include both real estate and personal property. Under Arkansas law, the state imposes certain restrictions on the size of the estate. Specifically, the limit is set at $100,000, minus any encumbrances on the property, such as taxes, loans or mortgages. This value does not include homestead and support allowances, which authorize surviving spouses or children to retain rental profits from a dwelling, plus keep up to $4,000 in personal property from the estate. In addition, non-probate assets do not need to be included in the valuation. This includes real estate held as joint tenants or tenants by the entirety; property held in trusts; life insurance property; and payable on death accounts. Once you have determined that the estate qualifies, you may complete an Affidavit for Collection of Small Estate. The affidavit may not be filed sooner than 45 days after the deceased person passed away, and you must certify that no administrator has been appointed or has filed a petition for appointment. The affidavit must include property descriptions and valuations, and you must attest that all debts have been paid. You must also include the names and addresses of all beneficiaries if there a will was in place or for all heirs if no will was present. 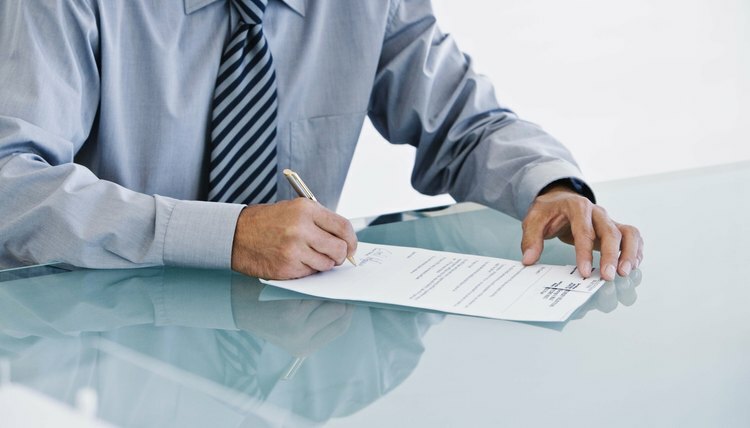 Once complete, the document must be signed, notarized and filed with the clerk of the probate court in the county where the deceased person lived. After filing, you may request a certified copy of the affidavit from the clerk. This document authorizes the transfer of ownership and may be presented to the person or institution currently in possession of your inheritance property. Examples might include banks that are holding money in an account, a vehicle that needs to be retitled through the motor vehicle department and transferring ownership of stock through an agent. If the person holding the property refuses to deliver it to you, state law allows you to petition the court and compel compliance. In North Carolina, as in most states, when you die without a will you are considered “intestate.” When a North Carolinian dies intestate, the state’s intestate succession laws determine where the intestate person’s property will go. The process of accounting for and distributing the deceased person’s property is called probate and is handled by the North Carolina Superior Court in the county where the deceased person lived when he died.